Kent Rantzow was born in Helsingborg Sweden 1957. He started Karate in 1974. He graded to Shodan JKA under Enoeda Sensei in 1979 in England. Kent took his 6 dan JKA in Hungary 2010. He was a competitor in kumite from 1976 to 1986. He stopped when he was started his own club in Helsingborg 1985. Member of Shihankai commission JKA Sweden. 1987 WKF National Referee license. 1994 WKF Nordic Referee license. Stopped judging WKF competitions in 2001. He is qualified as an international Referee with the JKA. 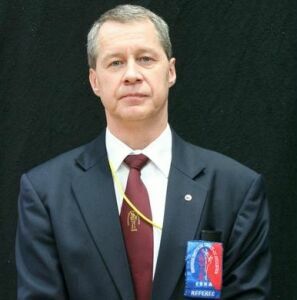 ESKA and WSKA and is a member of the Referee commission in ESKA.